Welcome to the JVNP 2.0 Weekend Update featuring a primary JV invite courtesy of fellow JVNP 2.0 Partner Alex Ortner (The Tapping Solution for Weight Loss and Body Confidence launch affiliate program JV invite), Buzz Builders (Toshko Raychev – Forex Wealth Strategy, Jamie Lewis – CryptoProphecy launches, Craig Crawford + Firas Alameh – AIWIS 2.0 pre-launch), and More … in Today’s weight control & body confidence edition. 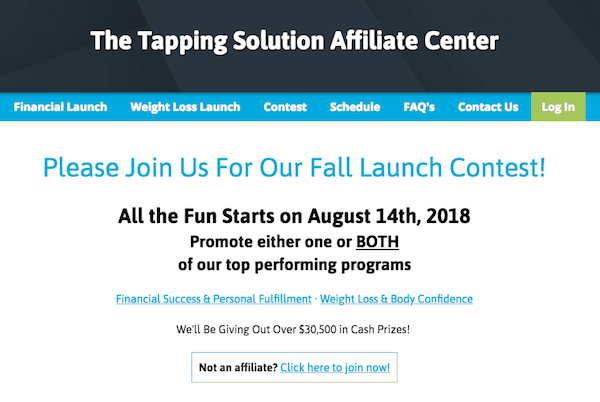 Fellow JVNP 2.0 Partner, we’d like to invite you to participate in “The Tapping Solution for Weight Loss and Body Confidence” promotion – Our 2nd Highest Converting Launch (and the first half of our $30.5K Fall Launch Contest)! The Tapping Solution for Weight Loss and Body Confidence is a 7-week total body transformation journey, run by Jessica Ortner, designed specifically to help women lose weight, keep it off, and drastically improve body confidence. We’ve had over 10,000 people go through the course since we first launched it. The course sells for between $347 and $397 during the launch, depending on the payment plan, with a 50% affiliate commission to you on all up front and recurring payments! In a Hurry? Jump right on over to the JV Page for complete launch details including affiliate registration. August 14th: Email #1 – 103 Dis-empowering Beliefs About Weight Loss and Body ConfidenceeBook. August 16th: Email #2 – eBook Follow up email. 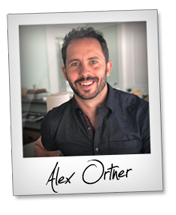 August 21st: Email #3 – Webinar with Jessica Ortner. August 23rd: Email #4 – Webinar Follow Up email. That’s it! We’ll take your leads from there through our proven sales funnel! Remember, these are suggested send dates. You can send anytime between these release dates through the end of September to be included in the fall launch contest! Option #1: Full pay at $347. Option #2: 5 pay option which is 5 payments of $74, totaling $370. Option #3: 11 pay option which is 1 payment of $47 and then 10 payments of $35. Visit the JV Page for complete launch details including JV Contest Prizes and more. JV with Jamie & Cryptogirl on the Same Promo that Generated $2.45 EPC from Basic Traffic During the Testing Phase! CryptoProphecy is a fusion of Software and informational based product that yielded $2.45 EPC from basic IM and Bizopp traffic during the beta test period. The front end sells for $37 on the front end with $211 potential per customer. The software is designed by Trader Suzi Lewis (Cryptogirl). Jamie Lewis – CryptoProphecy JV page. Promote The Most Advanced Artificial Intelligence Video Marketing Sales System ON THE PLANET! AIWIS (Artificial Intelligence Website Interactive System) 2.0 … Promote The Most Advanced Artificial Intelligence Video Marketing Sales System ON THE PLANET! It’s truly a cutting edge Artificial Intelligence selling and engagement platform. $5K+ in launch time JV Prizes. Craig Crawford + Firas Alameh – AIWIS 2.0 JV page. JV with the Gent Behind Last Year’s $MILLION TRex Promo … Re-branded, and Better Than EVER in 2018! Mark your calendars for August 13th-25th, when our rebranded, better than ever, done for you eCommerce storefront software will be released and ready for affiliate promotion! We’re offering 40% commissions on the $1997 software, and we’re also doling out up to $100K in bonuses, prizes, and special sprint competitions during our launch period! Greg Writer – Launch Cart 2.0 JV page. Brett Ingram + Mo Latif, Jon Shugart + Luke Sample, John Di Lemme, and other fellow JVNotifyPro 2.0 partners are waiting in the wings … keep your eyes on your Inbox, and follow the action in the JVNP 2.0 Premium VIP JV Announcement archives.